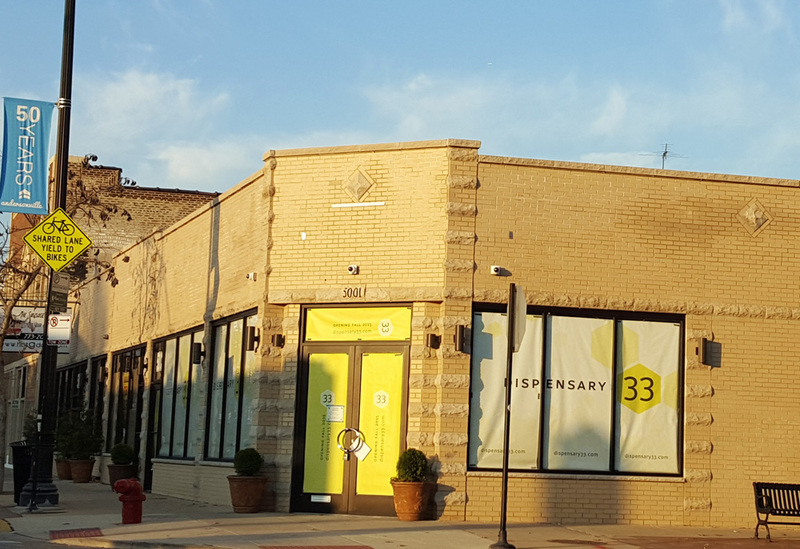 After a long community, city and state approval process, medical marijuana is coming to Uptown. 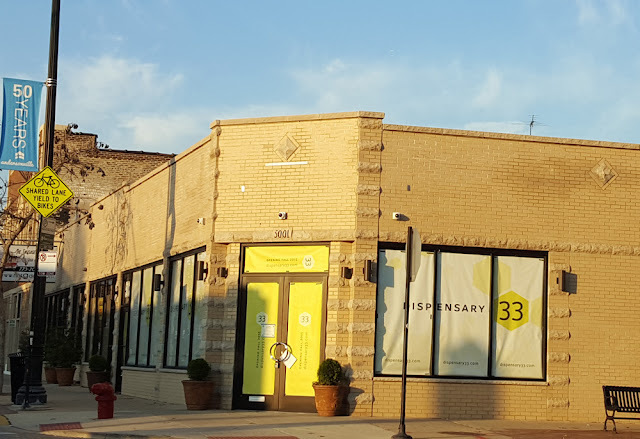 Chicago's first legal pot shop, Dispensary 33, will open next week at 5001 North Clark. There will be an open house held this Saturday and Sunday, November 14th and 15th, noon to 6pm both days. Visitors will have a chance to look around, and employees will help those who are eligible and interested to fill out state forms qualifying them as patients of the dispensary. On Monday, November 16th, there will be a ribbon-cutting ceremony at 10am, attended by Ald. Ameya Pawar, in whose ward the dispensary is located. After that, presumably, sales will begin. If you want to take a look around, be sure to do it on Saturday or Sunday. After that, state law restricts the premises to staff, qualifying patients, and their caretakers.